Why would media companies not want to see footage from inside of the school that would presumably show a heavily-cladded gunman wearing full body dress? Three media companies filed suit in court on Monday, in an effort to obtain security camera footage captured on cameras mounted outside of the Majority Stoneman Douglas High School. But for some reason nothing was filed to obtain footage from inside the school? Footage that would presumably show a heavily-cladded shooter wearing full body dress, as reported by both teachers and students who admit there was a scheduled code Red drill on the day of the shooting. 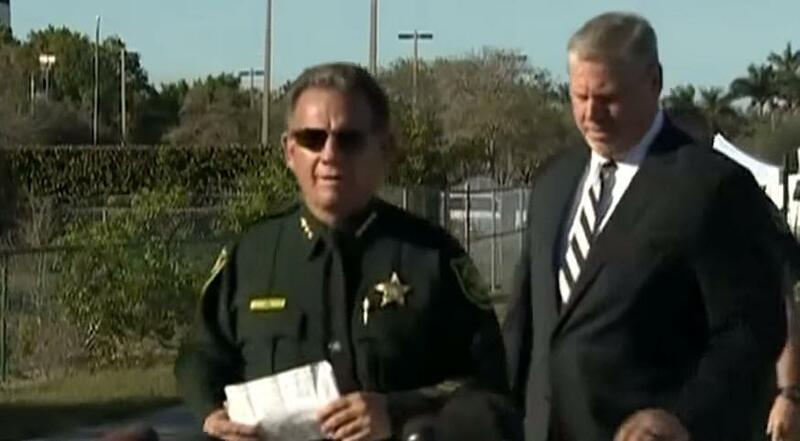 Moreover, as it turns out, at least four officers were told by Broward County Sheriff Scott Israel to stand down and to not enter the school unless they were wearing their body cameras which none of them were. The School Board of Broward County, the Broward County Sheriff’s Office, Sheriff Scott Israel, and Majority Stoneman Douglas H.S. Superintendent Robert Runcie are all listed as defendants in the lawsuit.